With a 5793 meter long circuit through the sands and rocks of the Sahara, Monza’s historic race track comes to life in the heart of the desert. More than 40 people, including engineers, surveyors, technicians and racers, have worked hard to faithfully reproduce a life-size replica of every turn, every straight, every chicane, using the original track’s turning circles and distances. This monumental effort reflects the spirit of the campaign’s concept “Volere e Potere” (or “Know you can”), culminating with an unprecedented challenge: to drive the new BMW X5 in one of the planet’s most hostile environments, just as you would at the Monza race track. Such spectacular statement shows that today, the pleasure of driving a BMW also extends off-road, due to the innovative xOffroad package on the new BMW X5. This is a car that, like any true leader, can achieve any objective, and is not afraid to prove it. 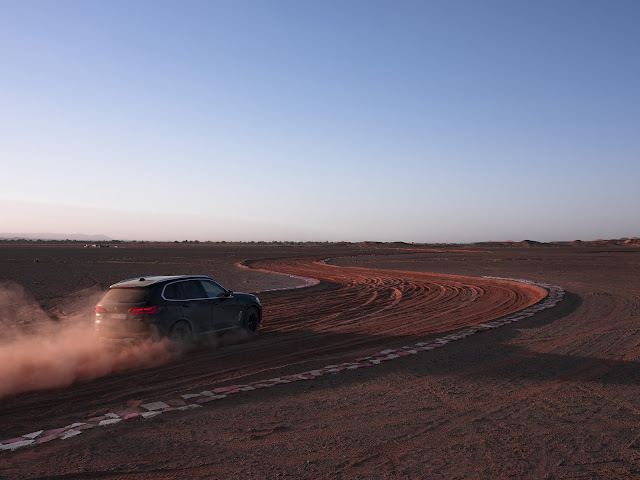 For the occasion, the new BMW X5 reached the “Monza, Sahara” track via a tour of Europe, before landing in the impervious Moroccan desert of Merzouga. The project, developed by M&C Saatchi and produced by Utopia, will be online from November 12th on x5.bmw.it and on the brand’s social media channels, supported by a special display campaign.